With 2x drivetrains going the way of the dodo, it seems obvious that a single chainring is better. But in the quest for simplicity, bike manufacturers may be throwing the baby out with the bathwater, argues our writer. Gearing is all about making work possible. Whether it’s a Z-drag pulley system pulling a pinned raft out of a river, or a seven-speed dual-clutch transmission tied to a 700-horsepower engine in a Porsche GT2RS, proper gearing translates the energy input into usable work at the other end. And for cyclists, gearing helps the rider go as fast as possible with the least amount of energy necessary. As with tire pressure and suspension, cyclists can hone their gearing to yield greater efficiencies. Those efficiencies translate to free speed, more distance, less energy expended, and generally more stoke. And today, perhaps more than ever, we’ve seen a major shift in the way the cycling industry approaches (and sells) gearing. 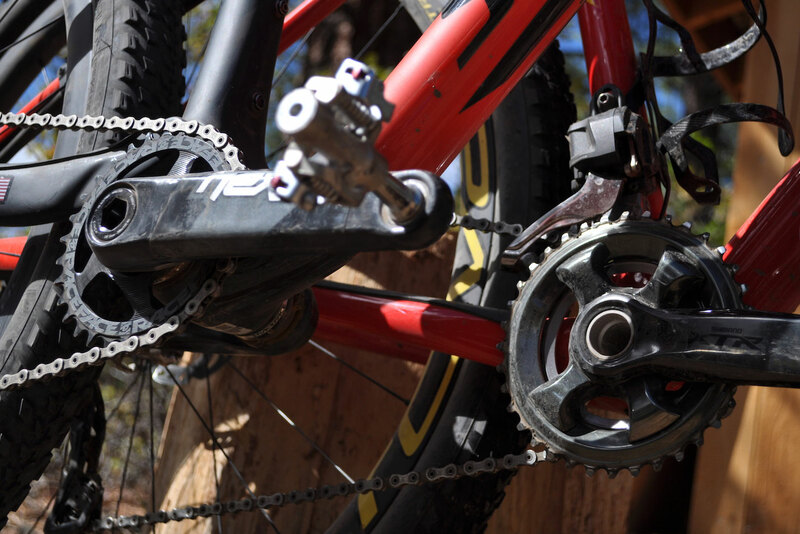 The 1x drivetrain has all but killed the multi-chainring setup, at least on mountain bikes. So to understand why — and determine if 1x actually is a better system — we’re putting it to the test: a 1x versus 2x drivetrain smackdown! First, before we jump right into gearing, a quick discussion about the biomechanics of the engine — in this case, the rider. Recreational cyclists intuitively find the range of cadences, or revolutions of the crank arms per minute, that feels right. To help explore what that means, we went to the source. Chris Carmichael has been a professional cyclist, has trained some of the biggest names in cycling, and is the founder of Carmichael Training Systems, which coaches sport-specific training. 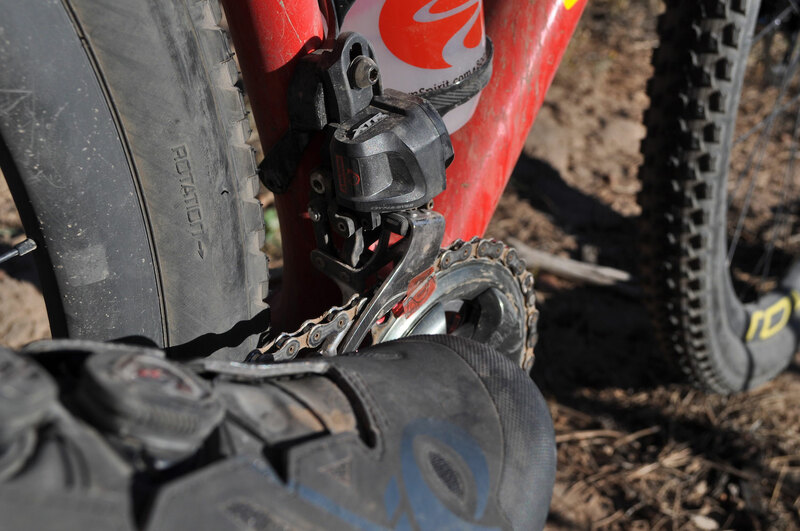 Your preferred cadences and the terrain you’re rolling over should be the determining factors in gear selection. And, he noted, those ideal cadences will change with circumstance. 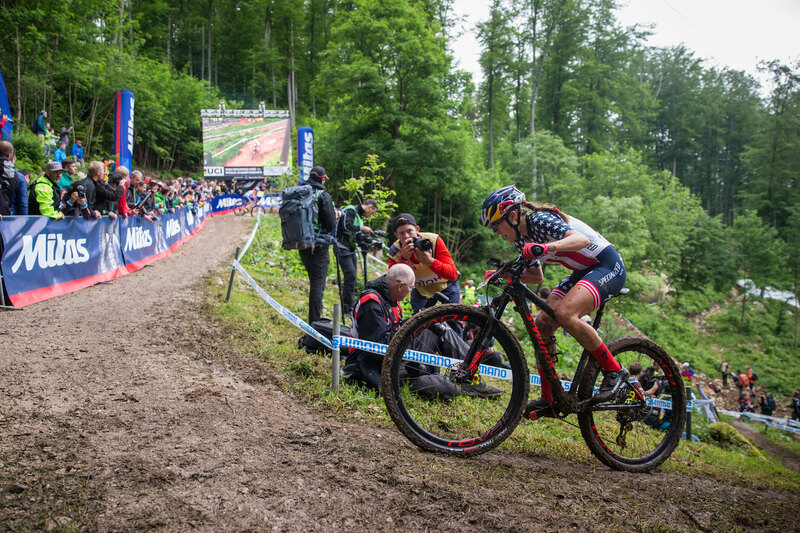 For example, a cyclocross racer will have to slow down and accelerate over and over again. In those instances, gearing must accommodate pedaling hard at 50 rpm to accelerate to 110 rpm repeatedly. But for times when you’re riding in the pack during a road race or cruising a gravel grinder at a reasonably steady pace, the cadence will stay within a much narrower range. According to Wayne Stetina, cycling legend and Shimano VP, gearing has three parameters for the cyclist: (1) low gear range so you don’t need to walk uphill, (2) high gear range so you don’t spin out downhill, and (3) steps between gears for biomechanical efficiency in between high and low ranges. The 2x system allows me to hit all three points. When it came time to take delivery of my full-suspension Specialized S-Works Epic, the only option was Shimano XTR M9050 Di2 with a single chainring. Almost a year later, I couldn’t be happier. The electronic shifting is so much crisper than mechanical systems. Since it was built, the system has required zero adjustments. Given that success, I spec’d an S-Works Epic hardtail with Shimano XTR M9050 Di2 Synchronized Shift — this time with a double chainring. 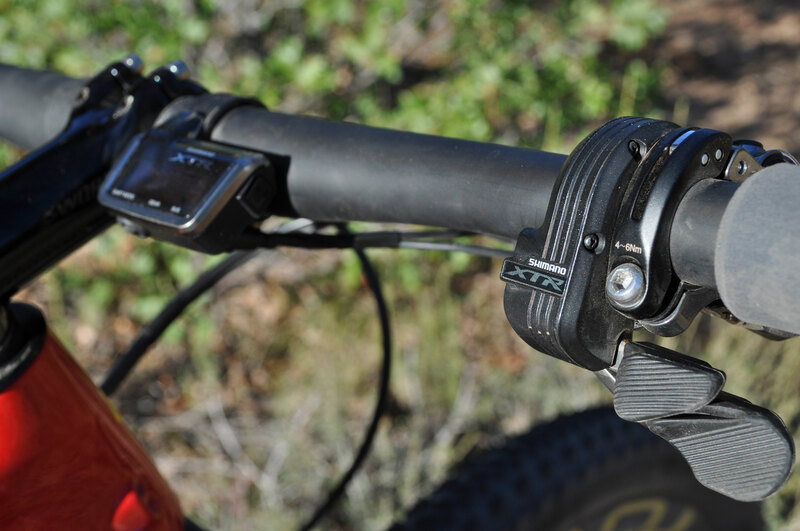 Shimano’s Synchronized Shift 2x system uses one right-hand-mounted shift mechanism. To make this 1x simplicity work for a 2x system, the rider has on-the-fly preferences for how gear selection is weighted. For instance, the system has presets for mashers or spinners as well as a manual mode. And the interface works as you’d expect: Shift one lever for an easier gear, shift the other for a harder gear. Based on the settings you select, Synchro figures out if the big or little chainring should be engaged to maintain the ideal cadence. This 2x system brought what I wanted: more top end without sacrificing bottom end. Having trained for a two-minute event for most of my life, higher gearing allows me to pull away on punchy hills and flats. Hills remain a sufferfest, but it’s no worse for the added high-end gears. Meanwhile, 1x drivetrains often had me wishing for a couple more (or fewer) teeth in certain situations. In short, 1x was great for its simplicity, but at times the gear I was in never hit my cadence sweet spot. With the 2x, I hit an appropriate and efficient gear every time. Best Bike Gearing: When Is 1x Most Efficient? With optimal cadence in mind, there are a few places where a 1x shines. 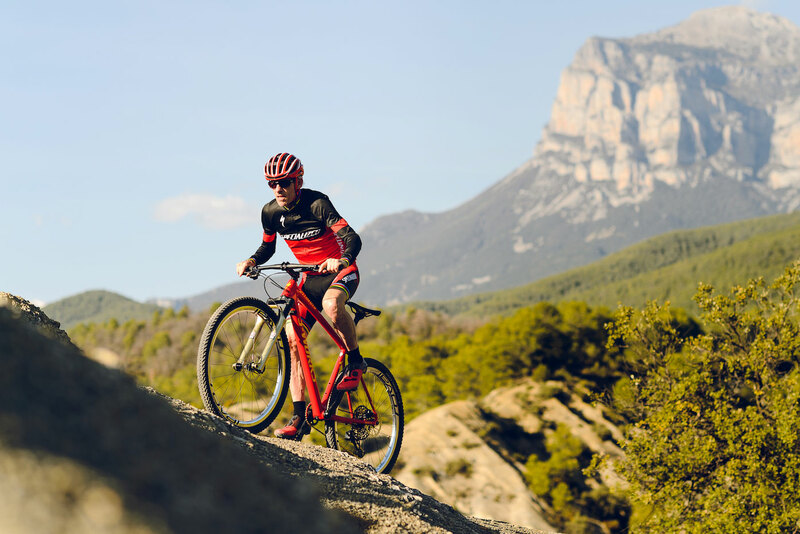 In particular, it does well in situations where biomechanical efficiencies are not profoundly compromised — flat terrain and courses with abrupt changes in pitch, with fewer long, sustained climbs. Of course, for downhill and enduro events, it’s 1x all the way, as climbing is limited or nonexistent. On courses with abrupt changes in pitch, the first order of business is finding the low gearing that allows you to efficiently navigate climbs. Speed on downhills will mostly come from gravity, as downhills are a matter of bike handling and not spinning out a gear. If I lived someplace where most rides were flat, I would rock a 1x and cassette with a narrow range. With limited high and low needs, your remaining gears will be more biomechanically efficient and spaced with smaller jumps in between. Best Bike Gearing: When Is 2x Most Efficient? This leaves 2x in the domain of everything else, particularly well-suited to courses and terrain with rolling features or long climbs. Sure, you can power up anything. But you might just be a puddle at the top, crumpled over your bike — particularly if that effort is over hours and not minutes. And, though Carmichael spoke to the adaptability of cadences, the key is to find your most efficient bandwidth. Is the gear you’re in the most efficient, or are you just surviving? My rides inevitably involve a bit of pavement, a bit of forest service road or jeep trail, and singletrack ranging from 4,000-foot rocky climbs to buffed out, flowy trail. With 300 miles of dedicated mountain bike singletrack in Durango, it’s easy to ride a different trail every day. This is the terrain where a 2x excels. 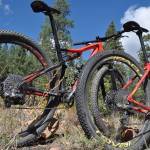 1x vs. 2x Bike Gearing: Which Is Better for You? After living with Shimano XTR Di2 and the 2x Synchronized Shift setup, it makes me wonder if we’ve thrown the baby out with the bathwater in our quest to simplify drivetrains. Simple is good, but I’m not sure it always leads to greater efficiencies and better user interfaces. As simple as it may sound, for me, the question is simple: Do you want more options or not? There might be a weight penalty, in this case about 200 g, but on the terrain I ride most often, it’s worth every bit in biomechanic efficiency. On my first ride with 2x Synchro, I thought it was a great solution for XC race bikes. After my third ride, there was no reason not to embrace this system for any trail bike where long, sustained climbs and a variety of terrain are regularly encountered. Of course, what works best for you depends on just how efficient you are with the system you have. So, which do you prefer? The post Why I Still Love My 2x Mountain Bike appeared first on GearJunkie.